A quality walk into the past, through thick doorways, is one's first experience. Imagine living in a home that was built, who knows how many years ago. The all adobe structure, has the thick adobe walls, that are visible throughout the interior walls. These walls are plastered, with what is known as a ''Diamond Finish.'' The coved ceilings have the same stain on the interior vigas, that was applied when home was initially built. The home is upgraded, and simply beautiful. Nice, quiet, just waiting for you to see. 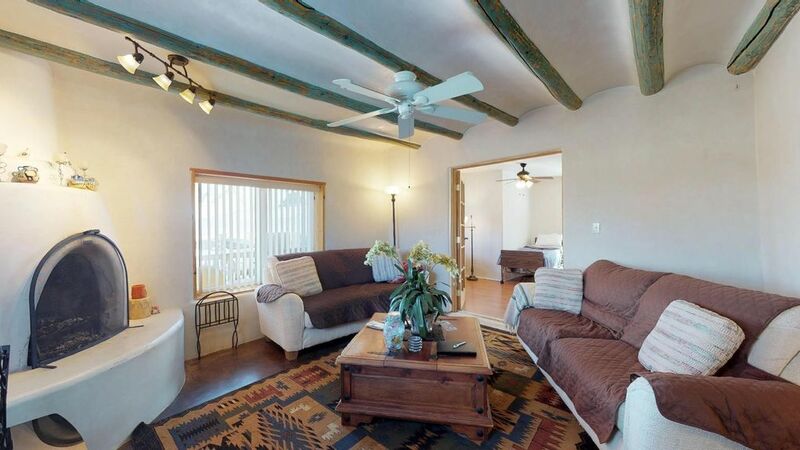 Easy commute to Espanola, Santa Fe, and Los Alamos.Please check out the pictures and the video, then make an appointment to view this incredible home.